All four videos are exerpts of longer documentation pieces. 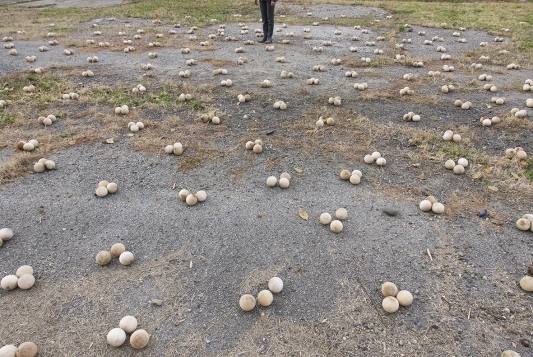 Molly Haslund’s piece, ‘1000 Wooden Balls’, is directly related to the urban history of an abandoned waterfront in Brooklyn, New York. Around year 2000, the former Brooklyn Eastern District Terminal (BEDT) was taken over and rebuilt by individuals and small groups of people who collaborated on outsider art projects, artistic experiments, graffiti, music, film screenings and other activities. Since then, BEDT has been developed through a process of gentrification and no longer exists. 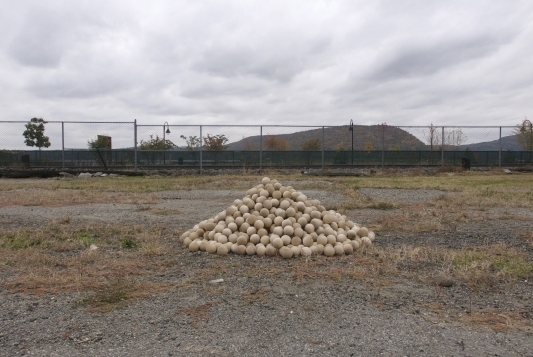 A whole decade later for Peekskill Project 6, and as homage to BEDT, Haslund has recreated what took place at the waterfront in Brooklyn. 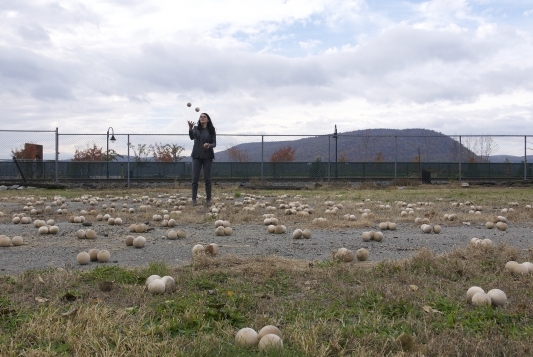 On a different vacant piece of land, she has performed a series of activities around one thousand wooden balls, as she imagines they happened in BEDT in 2000. 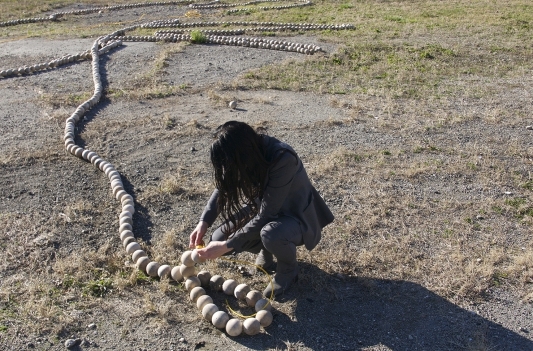 Haslund’s re-enactments within a contemporary urban environment bring an important sense of vitality to ‘1000 Wooden Balls’. Through the history of BEDT Haslund has created a piece where attitudes and initiatives towards urban space are challenged. 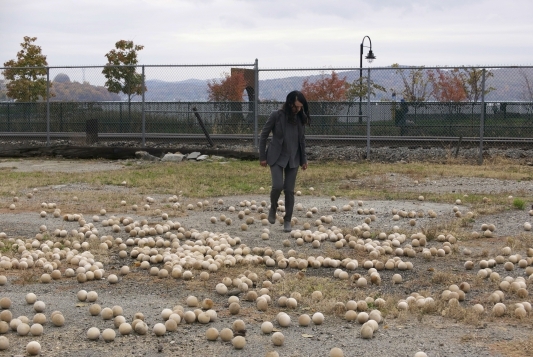 Her performances reflect upon current events such as gentrification, migration, and displacement – all themes present at the very heart of the Peekskill community.